I have been using OnePlus One as my work phone ever since it arrived 30 days ago, replacing my old Galaxy Nexus. The first thing that caught the co-workers and onlookers attention was the 5.5" bright and glossy screen. The OnePlus One screen really shines through on the first look held within the silver bazel around making it tough looking. I have been a Nexus fan ever since the Nexus S and use Nexus 5 as my personal phone. But after having owned OnePlus One for about 30 days now, this is the first time I’ve gone away. The next thing my colleagues wanted to do was hold OnePlus One to look around the device. This led them to experience the smooth and responsive touch screen. The second part that made them go wow was the textured back panel, it’s made of a very different material which is neither aluminium nor plastic. 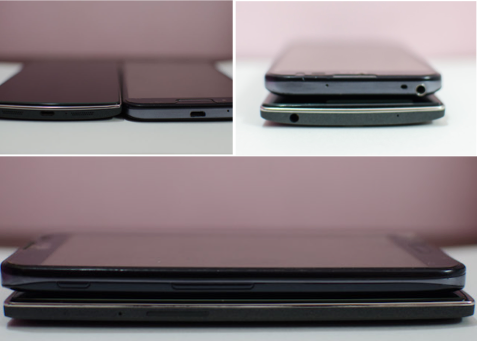 The material used allows OnePlus One to be held without a chance of slipping. Also holding the phone, one cannot miss the solid build quality, balanced weight along with slim profile of the phone…(actually a phablet). On comparing it with other phablets in the category and price range like Galaxy Grand, Note 3 and LG Optimus G Pro along with few indigineous brands like Micromax and Lava devices; OnePlus One is indeed a large phone with a comfortable in hand profile. The power button and volume keys are very well placed making it easy to control the large phablet with one hand in most conditions. While they still try to accept the Chinese phone to be that good (since not many people have heard of the OnePlus brand) their jaws drop to the maximum when mentioned about the specs on OnePlus One. The killer specs on this beast include 2.5GHz quad-core Qualcomm (Snapdragon 801) processor, 3GB of DDR3 RAM, 5.5" screen, 13 megapixel rear camera capable of shooting 4k videos, 5 megapixel distortion free front camera (for the perfect selfie kind of people), powered by a 3100 mAh non-removable battery and functional for most of the bands including 4G LTE support. All this at the killer price of $349 (of course with shipping), leading the final cost of about $362. Convert that to Indian currency and its almost at par with Galaxy Grand at around Rs. 22,000. OnePlus One however has a catch for the next question asked by almost everyone who came across it… How to buy One? Only through an Invite system, yes that’s right. OnePlus company’s marketing strategy is to get more sales through the buzz and word of mouth for the phablet. To get an Invite, the user visits their website and registers (took to 3 months of wait to get an Invite) or alternatively participate in contests or spend some time in their forums where others share invites that they get. It’s not just the phone which is feature and hardware rich; the packaging of OnePlus One is really premium as well. In the shipment there are two packages — one with phone, charging cable and sim removal tool & the second one contains the brick charger. 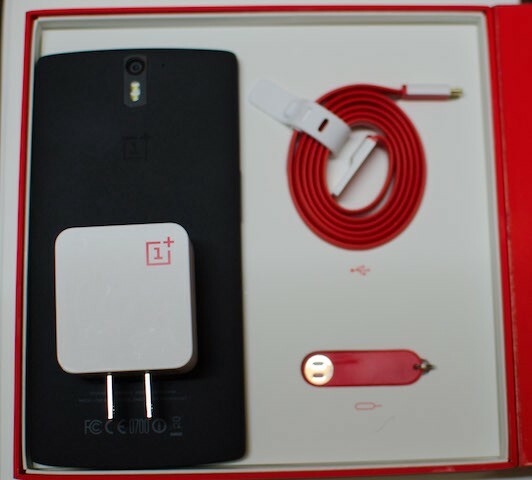 The OnePlus One uses a flattened USB cable with the same Red-White pattern as the packaging. This makes it stand out while being stacked against all the other boring white/black cables. I would say it’s only short coming though, was its relatively small length. The company really focused on the design elements to the details which shows even with the included sim tray removal tool. The sim removal tool is tightly snugged in to a key ring holding case to ensure you don’t loose it. The smaller package carries the white brick charger that resembles the iPhone charger. The company claims to deliver it as a travel charger with higher output to power up the beast of a battery inside OnepPlus One. The software on OnePlus One was closest to the stock Android experience out of the box (as a Nexus fan I love stock Android without any bloatware). It came preinstalled with Kitkat version 4.4.2 which got upgraded on 4.4.4 in the second week of August. Those who know Cyanogemmod, they worked out the specific version for OnePlus called CM11S which packs custom goodies like the theme manager, better camera application, double tap-to wake, off screen gestures and also screen recording app. 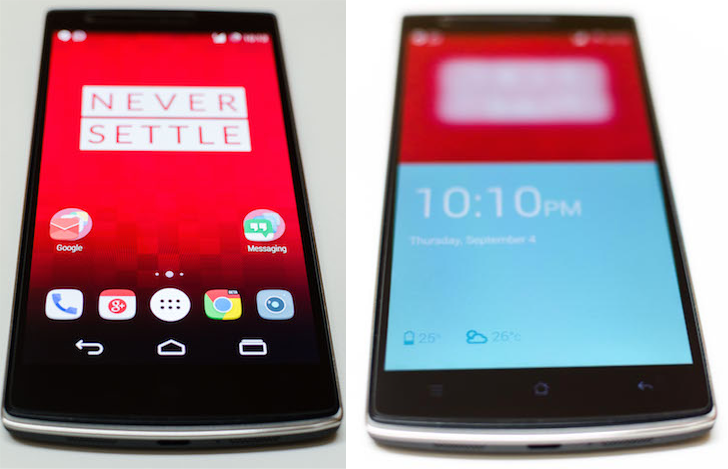 OnePlus One out of the box functions using the capacitative navigations buttons — Menu, Home and Back. 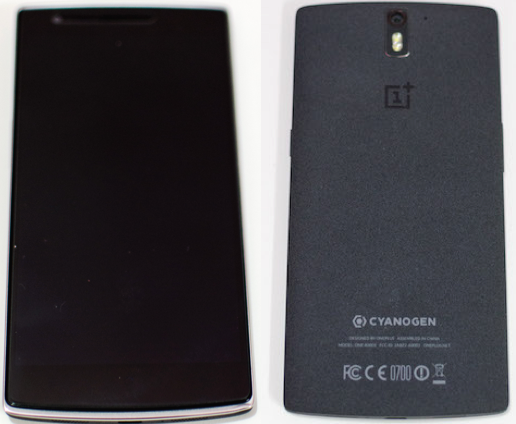 OnePlus One is powered by Android customized by Cyanogenmod. The level of customization tops with the option to switch between capacitative to onscreen navigation buttons just like the Nexus. Turning on the onscreen buttons completely disables the capacitative ones. As a Nexus fan, I still perfer the more screen estate available while using capacitative buttons on OnePlus One. Even with the stock Android in the back drop, OnePlus One packs a powerful theme manager, which is it’s secret sauce. The theme manger allows you to customize every User Interface to your liking and truly make it your very own device. The customisation can be done for Styles (the settings and over all User Interface), Icons, Fonts, Bootanimations, Wallpapers, Lock Screen Wallpapers and Sound packs. Few themes are included as a base package while other are available through Google Play Store (both paid & free versions). Cyanogenmod also included preloaded Gestures which allow interactions like — flashlight, music controls and direct access to camera from the standby mode (display turned off ) by drawing the symbols on the screen. 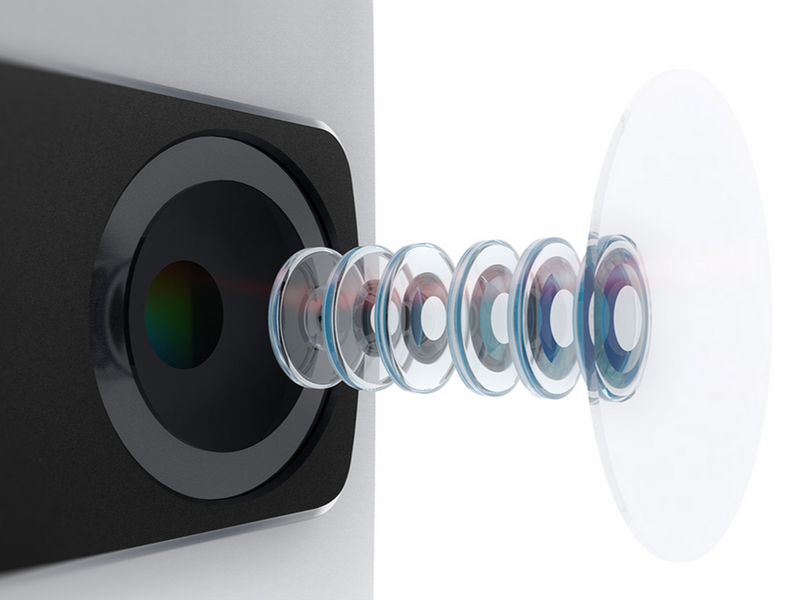 Speaking of camera, OnePlus One packs a 13 megapixel Sony Exmor IMX214 camera combined with 6 lenses to avoid distortion and color aberration. This camera is capable of taking some really amazing pictures even in low light conditions. The included camera application allows viewing of live image through the various available filters (the list of filters is quite impressive) including — Auto, HDR, Mono and Sepia etc. This allows to capture creative shots quickly without hassled filter selection. The latest firmware update also added a filter called Clear Image which allows noise free image during the low light conditions. Clear Image filter though is promising but comes at the cost of washed out and flat image. I have been really lazy pulling out my DSLR, since I got my Nexus 5 for taking quick shots. The same is now true for OnePlus One over Nexus 5 ever since. Nexus 5 still outshines OnePlus One in the HDR (high dynamic range) mode. Below are few sample shots I took while trying to compare and check the differences. OnePlus One camera is also capable of recording 4k videos (quality superior than 1080p) along with Slow Motion at 120fps at 720p quality. I am not much of video person so haven’t really tested those features of the camera. The front camera also stands out at an impressive 5 megapixel size. It ensure more background in those shots through the extra-wide 80º viewing capture. OnePlus One is powered by a beast of a battery. The capacity is a whopping 3100mAh which keeps it running for long long long hours (of course depending on your usage). During my typical use for more than 17 hours along with 2.5 hours of screen-on and voice calls up to an hour; I was left with about 35%. To summarize the long review, OnePlus One has definitely killed my interest in any other flagships available in the market today. It might be a product of a newly established chinese company, but given the cost to hardware it beats the rest of’em all. 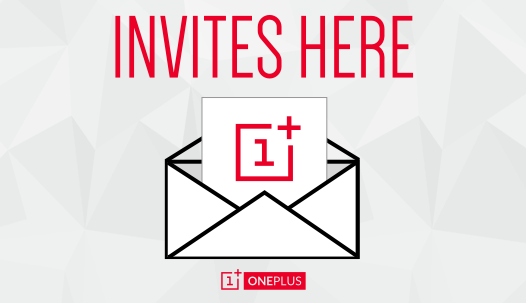 In case reading above has got you convinced, visit http://www.OnePlus.net and register today to get your invites (patience requested). 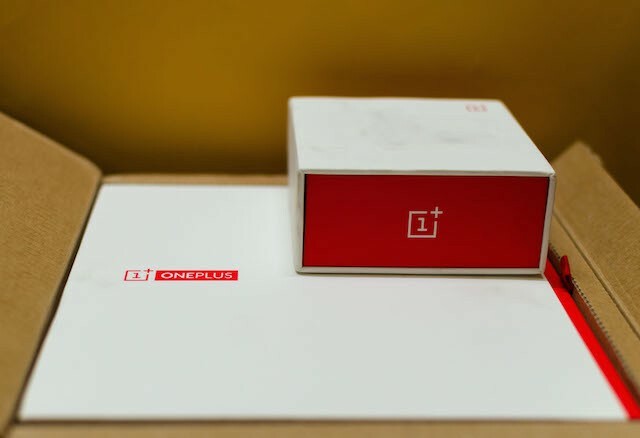 PS: I would like to thank my friends Hemanshu and Mansi for ordering, Karthik for bringing the OnePlus One to India and Suresh for being a critic of this writing. Update: You can now buy OnePlus phones from Amazon India. To buy - OnePlus One; OnePlus 2 and OnePlus X.